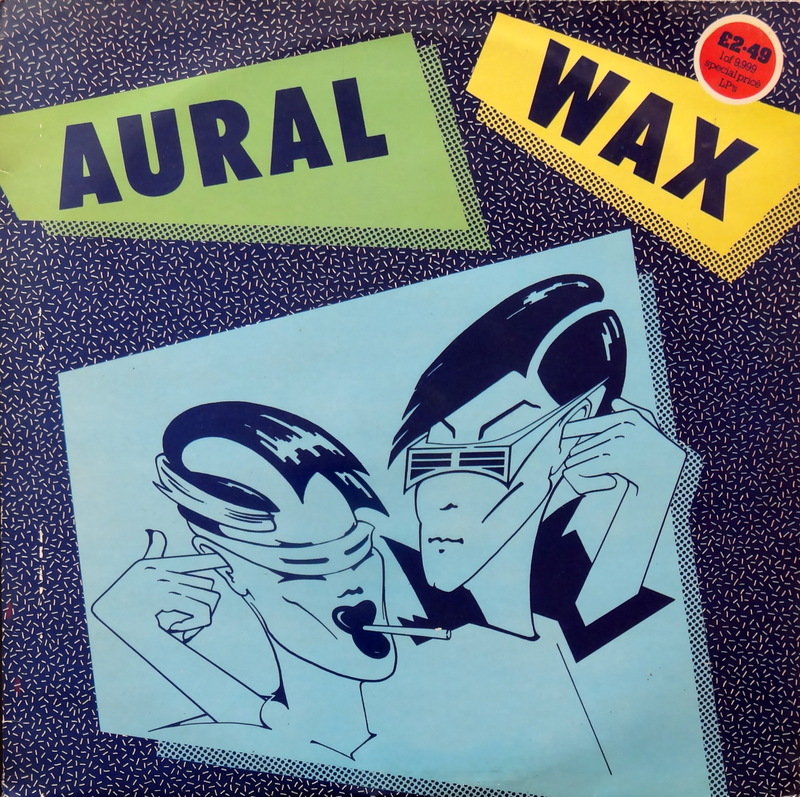 Here we have an exceedingly cool 1980 compilation from the Aura label; well, an Aura label. According to Discogs, this Aura is the Austrian Aura, but according to the record’s back sleeve Aura was located in London. There are also labels named Aura domiciled in France, Australia, Italy, and Turkey, but I’m Bubba Gumping here. 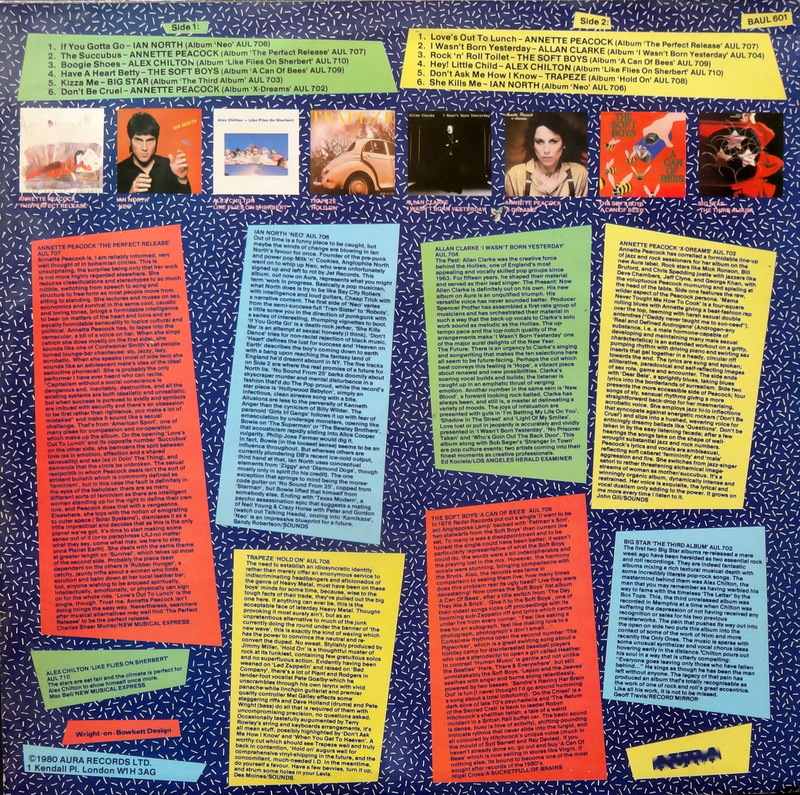 Not only does this compilation sport a great new wave sleeve, but much of the music backs it up. We have Big Star, Alex Chilton, and the Soft Boys — come on! Bowie and King Crimson completists might be interested in this cut from Annette Peacock, featuring Mick Ronson and Bill Bruford. Much like Trapeze, it doesn’t fit the post-punk packaging but whatever. It’s not a great song, but that isn’t what being a completist is all about. So what will this rare and valuable compilation run you? No more than 5-10 bucks. Happy hunting. Choose and Defend: Beach or Mountains?